This is my first blog post of 2016, so happy belated new year. I know January can a bit of a tough month, but it does seem to be flying by! I am really excited to share my latest (and favorite) commission to date! I really love creating artwork for families as I know it means so much to them. The process is a real privilege - learning about the family to ensure that I capture their unique energy and magic within my initial drawings and the final paper art. As I wrap the the final framed piece I always find myself thinking about that special moment when it will later be unwrapped. This one was extra special as it was my own family. I was so thrilled to hear how much the family loved it and the impact it had on her Birthday. I have been working on an exciting project with the team at DIAL to design and create a watch face for the company’s 2015 range. The watch features my paper cut style and will be on sale now. 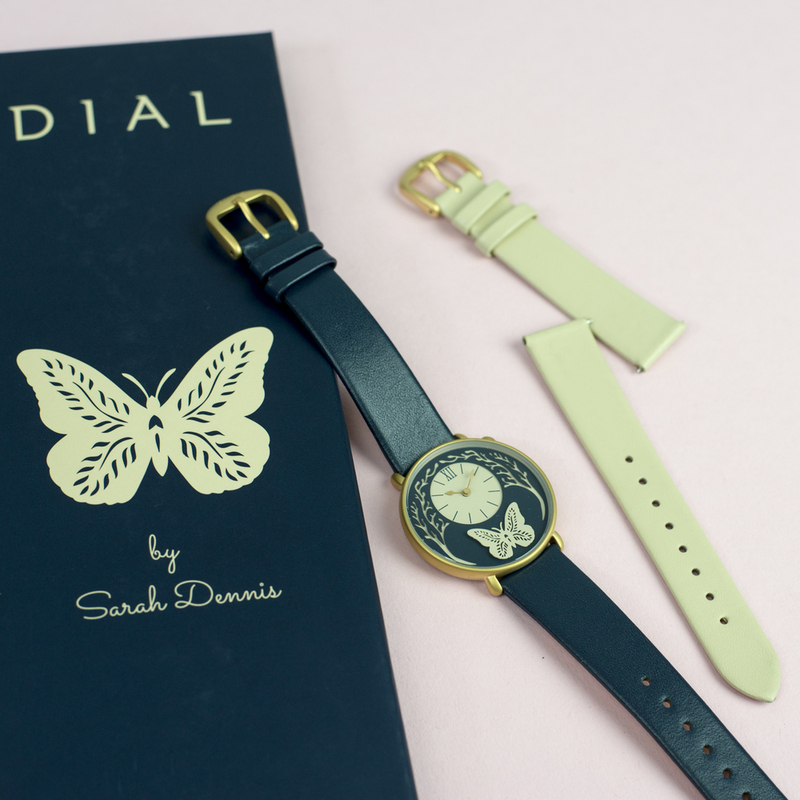 DIAL are a British brand who collaborate with artists to produce watches inspired by creativity. I am so pleased to show you a my new book "Animal Camouflage" a search and find activity book for children and is also fun for adults. Author and publisher Sam Hutchinson of Bsmall publishing was inspired by the way I cuts worlds of nature from a single piece of paper and together we put together the idea for this wonderful book, I'm so pleased with how it has turned out. We used my artwork to take the reader on a journey of discovery across seven different regions around the world, giving readers the opportunity to become an intrepid explorer, discovering and learning all about the native animals encountered along the way. For a nature enthusiast like myself, this project was a absolute joy to create. I challenged myself to produce by far the most intricate and detailed designs I have created to date to date. I loved cutting the complex detail into each scene, hiding each animal in their natural habitat and making sure that there is something new to discover each time your eyes glance around the page. Only 7 days until the book hits she shops!!! You can pre order your copy now or ask you local book shop for the book. Here is a little time lapse of my cutting the from cover, I hope you enjoy! please share with all your friends. I was thrilled to be asked to illustrate ‘Natural’ a fabulous new cookbook published by Parragon. I created a set of paper cut illustrations for the cover and insides of this compendium of wholesome recipes. It was a dream project for a self confessed foodie! Last year my gorgeous friend Holly Clifton Brown married the love of her life Mr Simon Brown. They had the most stunning, down to earth, rustic chic wedding you have ever seen, it was such a fun and beautiful day. When it came to the wedding present it of course had to be a hand crafted paper-cut, I took inspiration from the lady her self and the love they both have for the outside world. I also used Holly's carefully considered designs she created for the invitations, table plan, and look of the day to influence my artwork. Here are some pictures of the artwork in the making, I used chalk pastels to create a two tones effect on the fern leaf, oats and barley. This is a new technique for me and one I thought was really effective for this particular piece. It was a joy to create this piece for them, a piece that I know they treasure and has pride of place in their lovely new home together. If you have been inspired by this post and have a special occasion that deserves a bespoke hand crafter paper art I would love to hear from you. This piece was created for my close friend and fellow illustrator Victoria Topping for her 30th Birthday. I have created a few jellyfish pieces now and when ever I make them I think of Victoria as we share a cosmic affection for spectacular and insane sea creatures deep within our souls. Making this piece reminded me of the good times that we spent watching David Attenborough documentaries together in total astonishment at the creatures living in depths of our oceans. Recently I have discovered the incredible work of Ernst Haeckel, a philosopher, zoologist and artist who made detailed drawings of deep-sea creatures and microscopic organisms that he encountered throughout his lifetime of study. I have a few of his books and love looking at the detail in his illustrations which seem as precise as they are imaginative, celebrating the beauty of these bizarre marine forms called radiolarians. His work has massively inspired this piece, I can't recommend diving into the marvellous world of his artwork enough. So nice to see Vix's photo of it hanging in her lovely home! If you have ever experimented with paper, but haven't yet used crepe paper to make flowers, this tutorial is for you. Not only is it really good fun, it's also the perfect way to get in a festive mood this Christmas. By the time your wreath is finished, you'll have a completely unique and beautiful decoration for your home, not to mention a new skill to take into the new year! a. Use pencil to trace around a dinner plate or other circular object that has a 12 inch diameter (approximate). Center a lunch plate inside the first circle and trace around it. Cut the outer circle with scissors and the inner circle with a sharp craft knife. b. Spray or brush green paint onto the ring front and outer edge. a. Using provided templates, cut five small, five medium, and five large petals for each rose from red crepe paper. I have found five of each size to be a nice amount, but if you want your roses to be extra full, just add more. Tip: Save time and your hands: fold crepe paper into layers so five petals can be cut at once. b. Attach your first petal to a length of florist wire by twisting it around the wire. Apply green florist tape* at the petal base. As you add remaining petals from smallest to largest, fan out the middle of each one and curl back the top edge by rolling it around a cotton bud to create the rose shape. 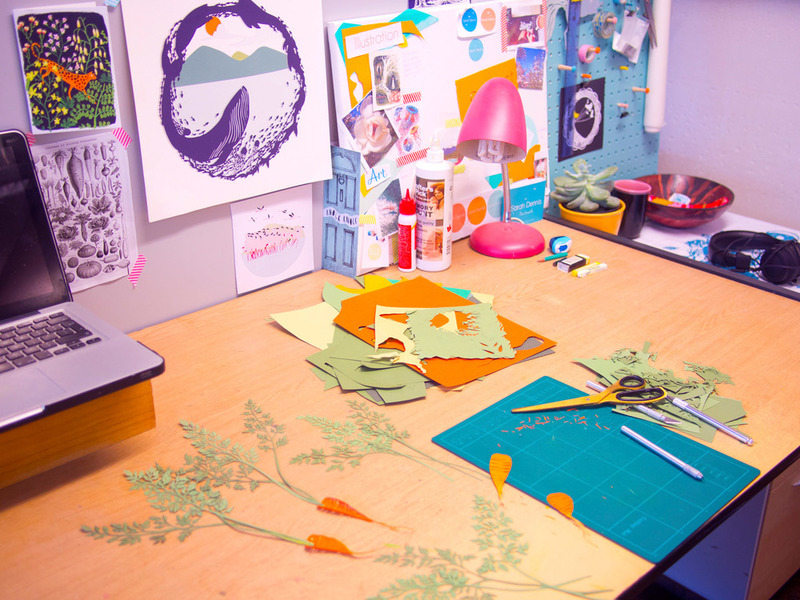 *If you haven't used florist tape before, you are in for a treat! Just stretch the tape and it will get sticky, then pull it around the wire with your petal attached. a. Take four double tip stamens and snip off the heads from one end with scissors; discard the snipped heads. Attach stamens with white florist tape to the top of a piece of wire. b. For each snowdrop, cut four white crepe paper petals using the provided template. Use a similar technique as with the roses... fan out the middle of each petal and curl the tip around a cotton bud. Add all four petals with white florist tape, making sure the stamens can be seen poking out of the top. a. Fold four stamens in half to make a group of eight stamen heads. Add the stamens to the top of a wire using green florist tape. b. Secure the first five small petals in a star shape around the stamens. Repeat with the large petals, staggering them so the petal layers aren't lined up exactly. Cut about 25-35 holly leaves using the template. These are nowhere near as fiddly as the flowers! a. Loop the ribbon and staple it to the top back of the cardboard ring. b. Attach your flowers to the ring by poking each wire through the cardboard. Twist the wires together behind the ring so the flowers are secure against the front. Snip off excess wire. Tip: If you have a sharp paper piercing tool, it may be helpful to make holes for the wires first. c. Attach the holly leaves by applying a bit of hot glue to the end of each one and arranging them around the flowers and upward to the ribbon loop at the top. There you have it, an afternoon of joy and a gorgeous Christmas decoration for inside your home! 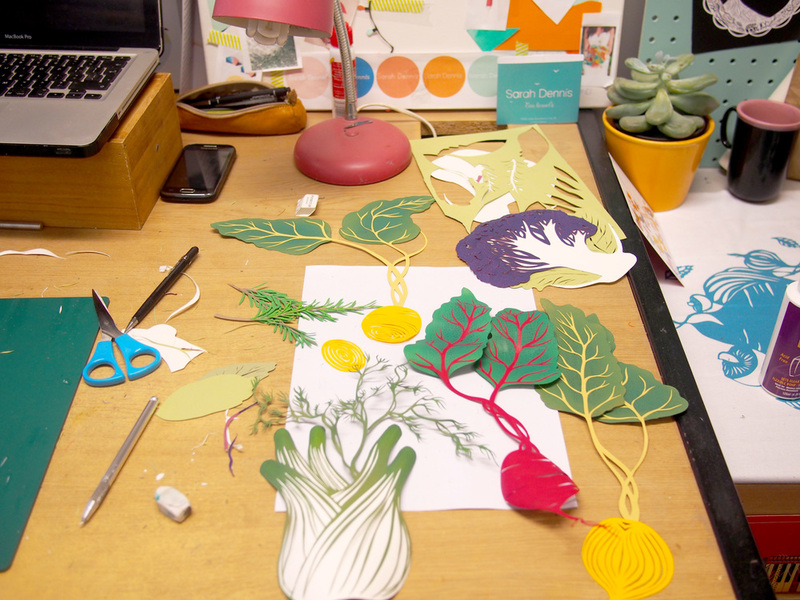 I've also been spending a lot of time making PAPER vegetables! These Carrots are a personal favourite, I've had to hold myself back from eating them. These will now be framed for my brothers restaurant. I am so pleased to see my poster design printed for the Citizen Jane film festival in Columbia, supporting female film makers. If only I was a bit closer so I could go myself! I am so proud to be involved in this gorgeous 'Send Something Beautiful' fold, print, cut and turn paper collection book by Emily Hogarth. I was so thrilled to be able to contribute three step by step projects which have been beautifully photographed with well layed out instructions and templates to help you make your own card. As well as my self artist such as Mr Yen, Lynn Hatzius, Marthe Van Herk, and Freya Lines were featured in the book.